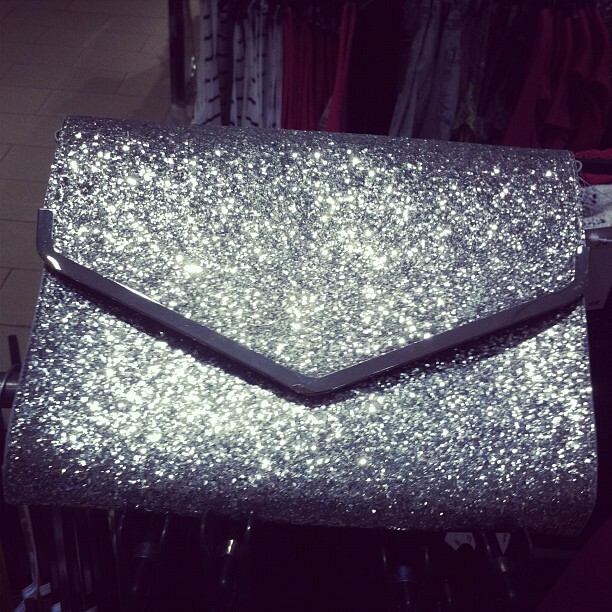 Super cute big silver glittery envelope clutch with metal detail $25 at H&M. I'm a frickin barracuda. I like Jessica Simpson a lot more when she's designing shoes and clothes. 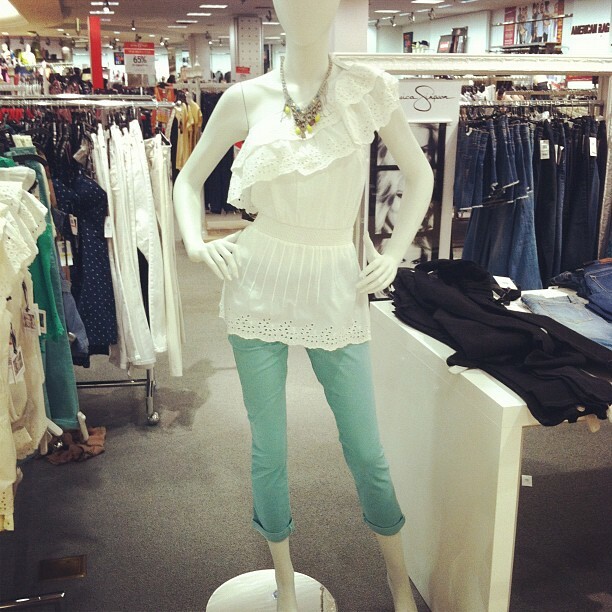 Mint jeans (crazy about, but only big sizes left and too expensive) and this adorable white one shoulder eyelet frilly top (also too pricey). I am MINT-CRAZY. Readers - do you Instagram or what is a good Android substitute? I love that red satchel!! Wish I lived near an H&M. 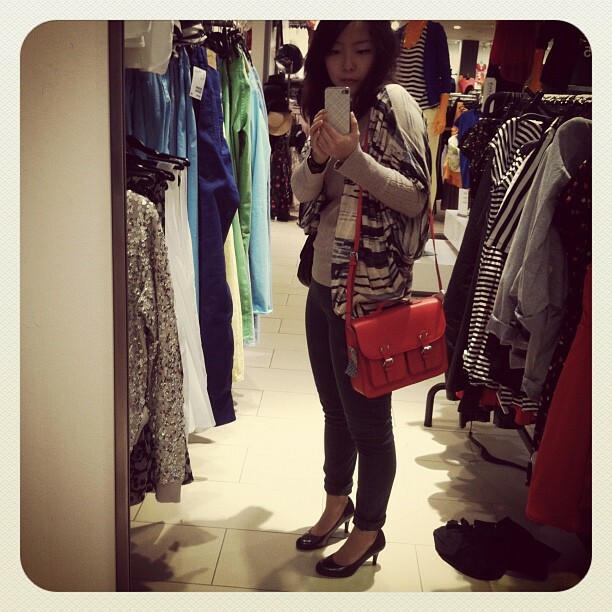 You look great, love your red satchel! the clutch is so cute! and it's such a steal at only 25 dollars as well. Gotta love the fact that there's no fiddly buckling to be done...great for a lazy person like me lol. and the glittery clutch is pretty!! 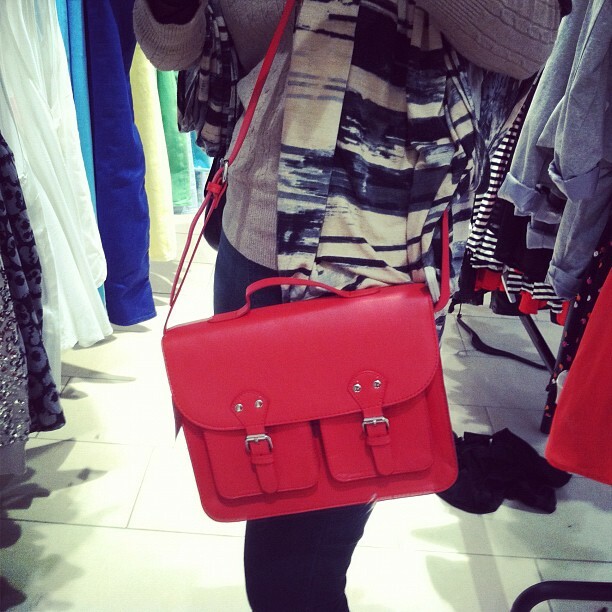 love the red satchel! 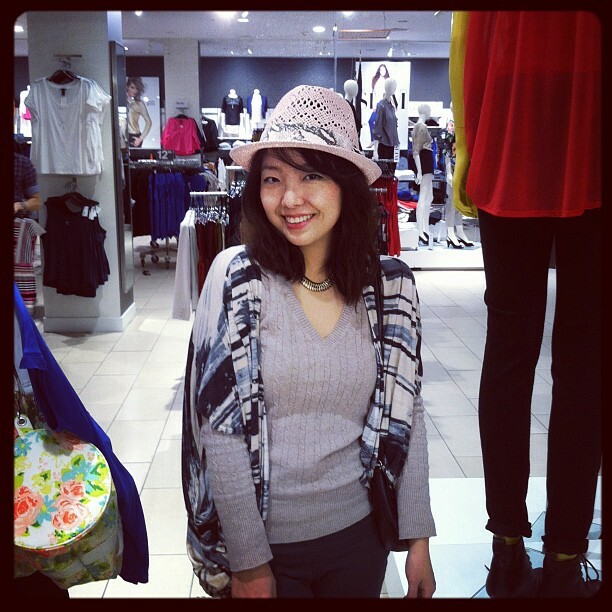 :) you look great in your outfit too dear. Cute red bag. I've been looking for something about that size. I like it. OmG! The bag is really really cute *..*! Georgeus pictures! That red bag is fabulous! I love your blog, its so much fun! Following you on bloglovin! cant wait to u get an iphone!! thats one of the things i love about iphone <33 instagram!! love the red bag! you look great!